For many years, archaeologists, church members, and other interested individuals have speculated as to the exact location where the people in the Book of Mormon lived. Prevailing theories have included Mesoamerica and South America for the obvious reason that there was a well documented and vast civilization living there during the Book of Mormon timeframe. There is yet to be found any solid evidence that ties that civilization without doubt to the Book of Mormon. 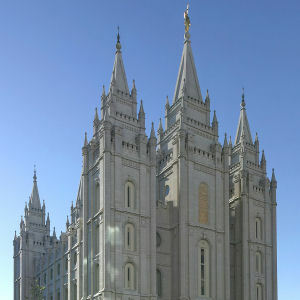 For that reason, church members have believed in faith, relying on their spiritual testimony of its divine authenticity, ever since the Book of Mormon was published, that it is a true record. While there is no definite answer provided yet, and no official position from the Church as to the exact location, there are lots of interesting and compelling evidences coming to light recently showing a remarkable connection with the ancient people in North America. Compelling is an understatement as more and more evidence is unearthed – it is actually hard to believe the people of North America could be anything other than those who’s 1000-year history is documented in The Book of Mormon. The proximity of the Heartland geography to Upstate New York where The Book of Mormon remained buried in the Hill Cumorah near Palmyra New York for approximately 1400 years is especially compatible with the recorded narrative. The “Heartland” theory is essentially that the ancient inhabitants of the heartland of North America known as the Hopewell Mound Builders; who populated the eastern half of the United States, particularly including concentrations at various times in the regions surrounding Florida, Tennessee, Iowa, Illinois, Indiana, Ohio, all along the Mississippi and Great Lakes regions of the U.S., and extending up through Michigan, Wisconsin, Minnesota and on up into Canada as far as Winnipeg; are the Nephite people who’s religious leaders included the record keepers that authored The Book of Mormon. Following are some very interesting descriptions of what has been discovered so far.